Blessings, Miracles, &Thoughts in Between: Happy Birthday Sweet Girl! 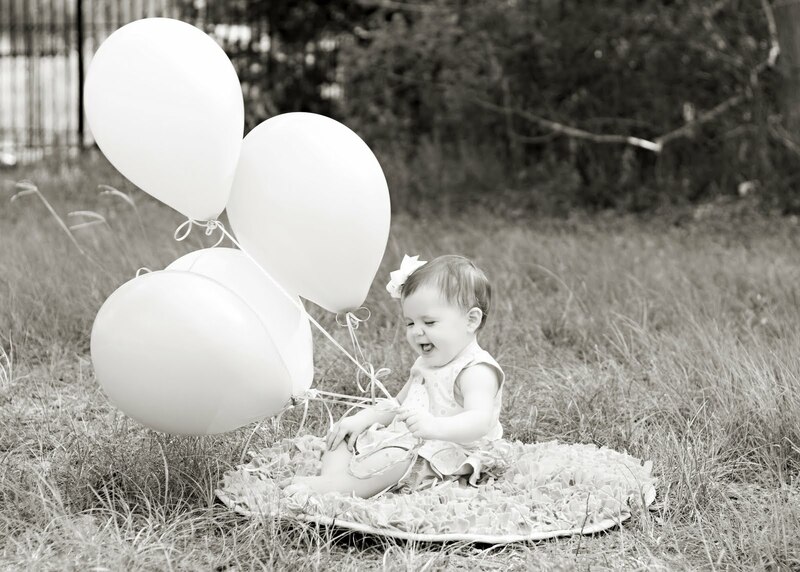 I can't believe it's been an entire year since our sweet Kate came into this world! A year since Kate was placed in Alex's arms while I was still under general anesthesia. A year since I held her for the first time. A year since Alex and I learned how to love deeper than we ever imagined possible. A year since we became a family. The past 365 days have been hands down the hardest 365 days of my life. But, they've also been the happiest, most fulfilling days of my life. I may be a killer business woman but, I was made to be a mom. Made to wipe snotty noses and clean up spit up. Made to pick up a million toys and read books all day long. Made to love, protect, and fight for my sweet girl no matter what. I wouldn't trade a single day with you sweet Kate. You make me laugh when I want to cry. You make me smile when I feel like frowning. You make me want to be a better person. A better mother. All because I want you to have the best life possible. Kate, you are a special girl. You will do big things and go big places during your life. No matter what those things you do are, or where those places you go will be, know that Daddy and I love you now and will love you always. Happy Birthday Sweet Girl!! 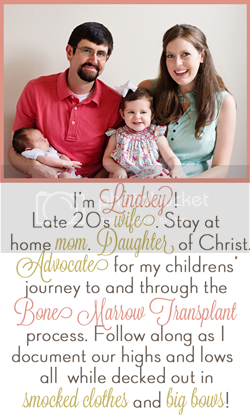 I am so excited for the second chance at life year two will bring! Now that I am crying...Happy birthday, sweet Kate! Happy Birthday Kate! 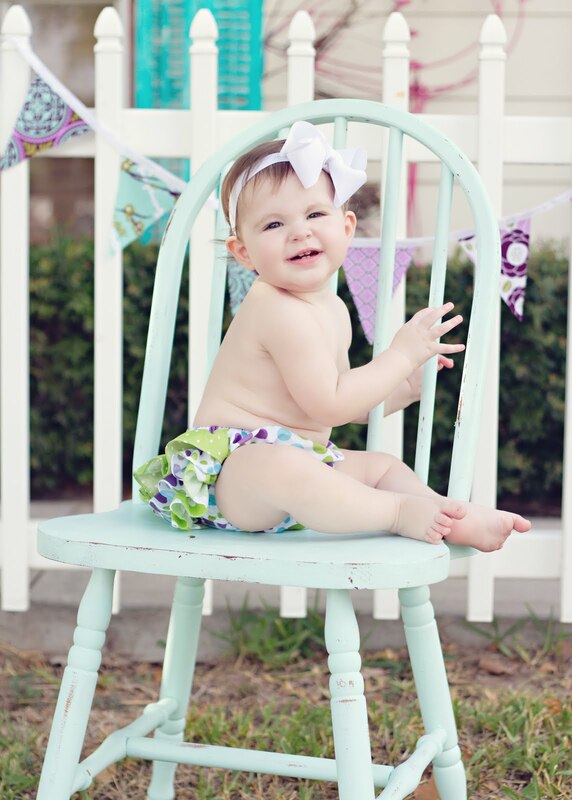 That was such a sweet post too and I totally adore the pics of her with her ruffle bloomers! So precious! Good luck with everything next week, we will continue to pray for you and your family! Beautiful - both your sentiments and your sweet girl :) Happy Birthday Kate! Ahh, I'm tearing up!! What a heartfelt entry. Happy birthday sweet Kate! Happy Birthday Sweet Baby Kate! Happy birthday, Kate! I hope ya'll have a beautiful day celebrating life and love! Those words and images are so beautiful! Have a grand day celebrating a great year! Happy Birthday Kate! 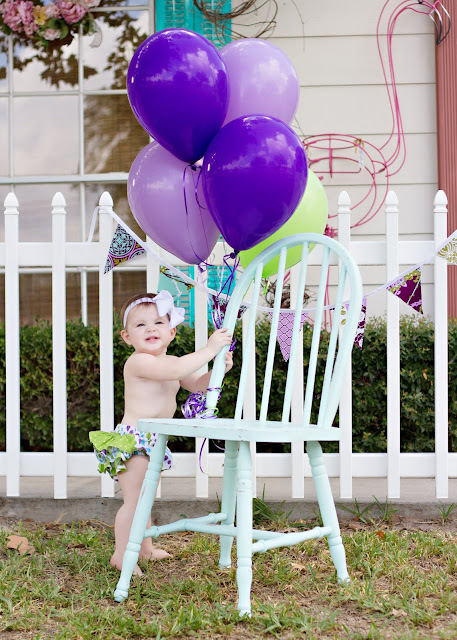 Her 1st birthday pictures are adorable! This has got to be the most beautiful post I have read in a long time. Your words made me tear up & the pictures made me cry. Happy Birthday, Sweet baby Kate & congratulations to you & Alex on a amazing, successful first year of parenting. Totally crying from reading this!! Wonderfully said. Happy Birthday to your sweet little Kate!! The pictures are freakin' ADORABLE!! Kate is so beautiful. Beautiful post! Happy birthday, Kate!! Happy Birthday, Kate! May the upcoming week and treatments go smoothly, quickly and easily as you grow strong and healthy! Beautifully written! Happy, happy birthday sweet girl!! Beautiful! Happy birthday, pretty girl! I couldn't read that last post without tearing up. You are right. There is nothing more important than your little girl. ?Happy Belated Birthday, Sweet Sweet Baby. I can't read that without tearing up. There is nothing more important and more wonderful than being a mommy to that sweet, sweet baby girl. Happy Belated Birthday, Sweet Kate! Day 0: Her Cells are Here!